Bill Holland grew up on 58th and North Avenue near the State Fair Grounds. Holland, who has two sisters and a brother, all younger, said the siblings, who are separated by distance, aren’t very close these days. “It’s just life, I guess…just monthly bills, you know, taking care of things and trying to make stuff happen,” he said. 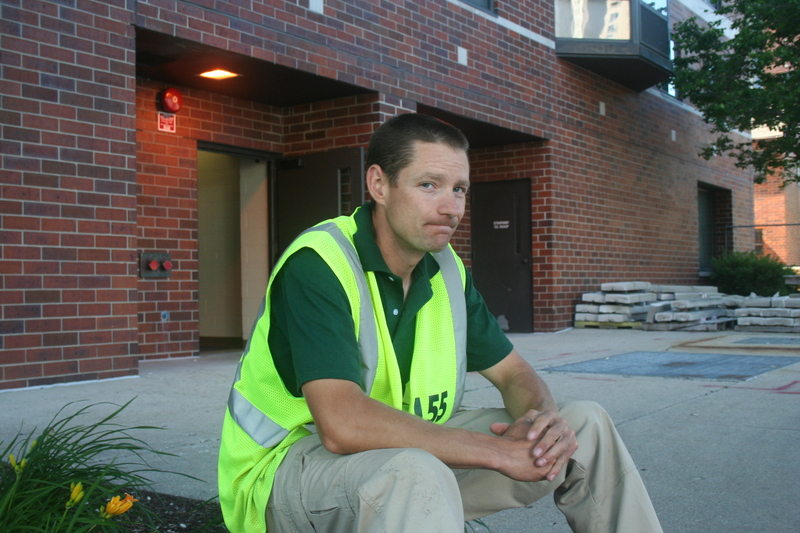 A month and a half ago Holland started with a Milwaukee-based landscaping company after four years working on sewer lining. He also “moonlights” as a reservist. But, in terms of work, he’s still looking for a little more. “Right now, I’m just trying to get things on an even keel, just trying to understand and maneuver into a place where I’m not using a shovel, where I’m using my brain and can tap into some of the creativity that I’ve got. Maybe start making some money from that instead of my hands,” he said. Did you find value in Bill’s story? If so, please subscribe to our newsletter; we publish the story of a different Milwaukeean every week.